Edited by Andrew P. Jackson, Julius C. Jefferson, Jr. and Akilah S. Nosakhere. The 1970 and 1994 editions of The Black Librarian in America by E.J. Josey singled out racism as an important issue to be addressed within the library profession. Although much has changed since then, this latest collection of 48 essays by Black librarians and library supporters again identifies racism as one of many challenges of the new century. Essays are written by library educators, library graduate students, retired librarians, public library trustees, veteran librarians, and new librarians fresh out of school with great ideas and wholesome energies. They cover such topics as poorly equipped school libraries and the need to preserve the school library, a call to action to all librarians to make the shift to new and innovative models of public education, the advancement in information technology and library operations, special libraries, recruitment and the Indiana State Library program, racism in the history of library and information science, and challenges that have plagued librarianship for decades. 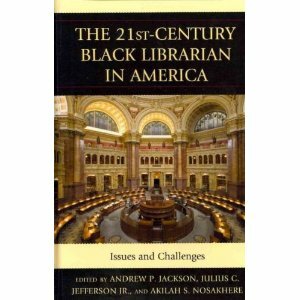 This collection of poignant essays covers a multiplicity of concerns for the 21st-century Black librarian and embodies compassion and respect for the provision of information, an act that defines librarianship. The essays are personable, inspiring, and thought provoking for all library professionals, regardless of race, class, or gender.